Summary: Top law firm Cravath, Swaine & Moore has raised their associate pay for the first time since 2007, placing their compensation rates at the top of the list. Cravath, Swaine & Moore has raised the bar for base associate pay. Simpson Thacher was the previous leader in associate pay. The new rate will become effective July 1, reflecting in the July 8th paycheck. The starting pay will now be $180,000 and tops out at $315,000 for 8th year associates. 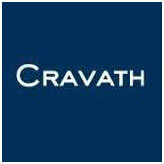 Cravath stops at 8th year associates, showing their use of a short partnership track. This new trend may start showing up in other big law firms. The raise is a surprise to many since the legal industry is just barely seeing positive numbers since the recession. One reason for the raise was that the associates asked for it. They approached their request with information and facts to support it, specifically that the last base salary raise was in 2007 and the cost of living in New York has increased drastically since. Since 2007 health insurance and law school tuition have both increased in cost. The new rate does not mention how it will affect bonuses. It is assumed that they will give them at the same amount as last year. If the firm has a great year, there may be a possibility that the bonus will be like 2007, when they not only raised rates, but gave top bonus amounts as well. I used Law crossing website and I found the search options user-friendly, useful and easy. LawCrossing Fact #51: As a serious organization, LawCrossing is dedicated to finding users their dream jobs.